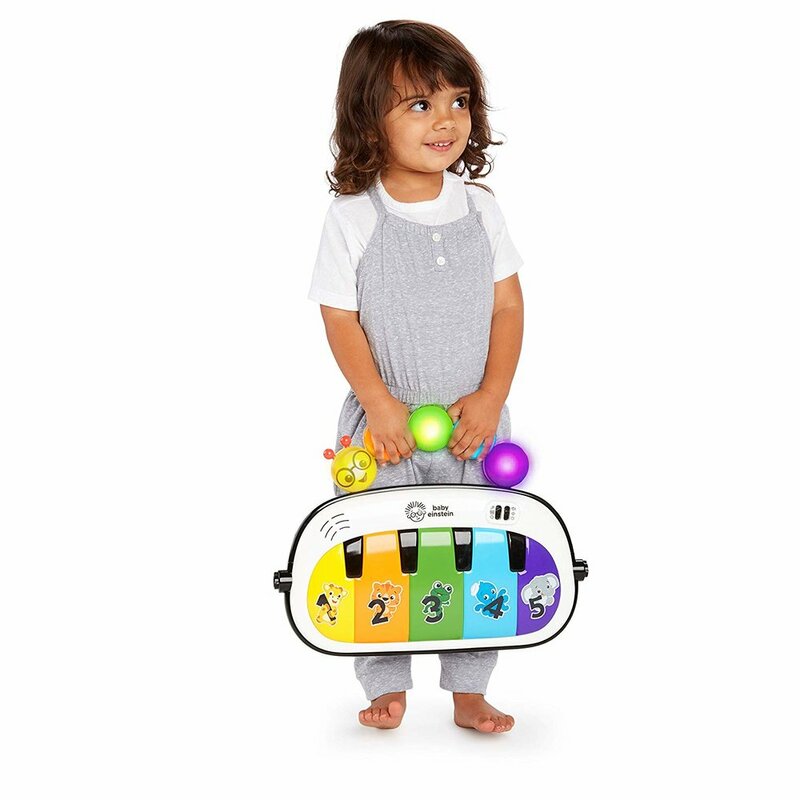 Taking advantage of Baby Einstein’s Magic Touch technology, baby can play the piano with the kick of their foot or the touch of their finger with accompanying lights. 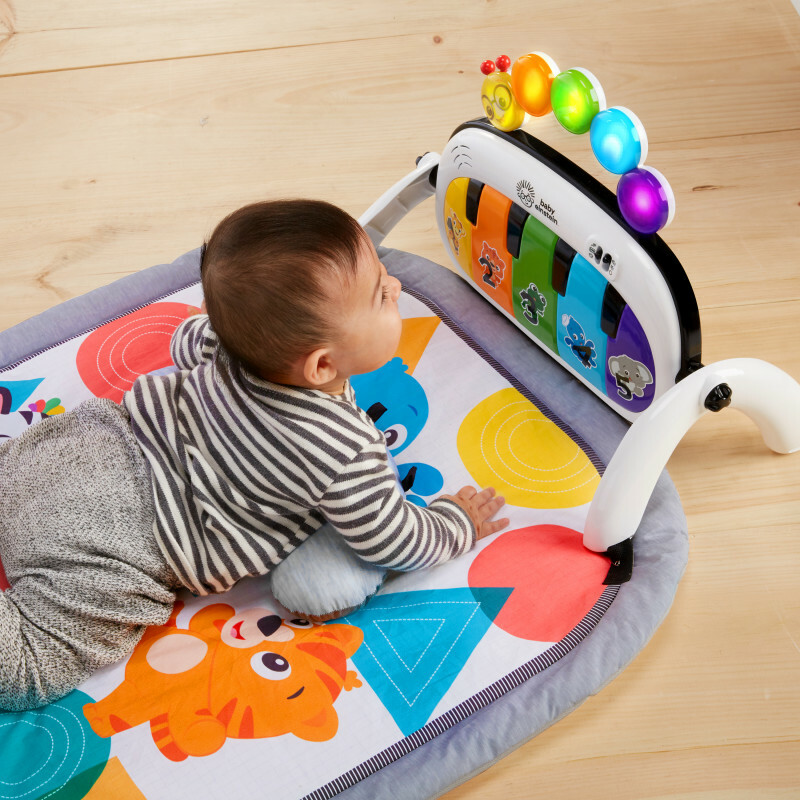 The piano keeps baby entertained with over 70 melodies, sounds, and phrases in 3 languages! This activity gym also includes 7 developmental toys - a crinkle medallion, triangle rattle, textured music note teether, character flash cards, and a self-discovery mirror - and a prop pillow. Omar Gonzalez 2018 © All Rights Reserved.